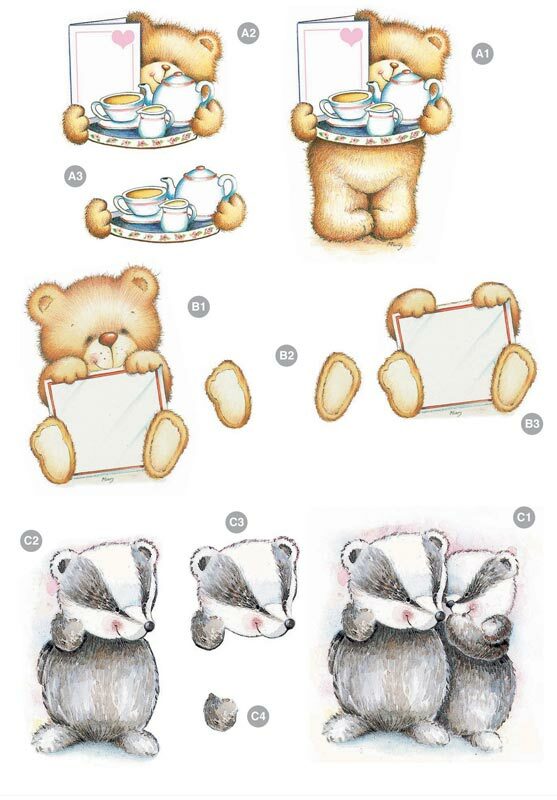 Cute Characters - Bear and Badger These stunning sheets 8.5 x 11 inches in size, made of glossy heavyweight paper, are Precut and have 2 different objects per page. Easy step-by - step numbering on the sheets allows for easy completion. Build each layer by inserting foam tabs (65000003) between each numbered piece. Great for any card making, scrap booking or home decor paper crafting projects.